Our organization is widely acclaimed in offering M Green Slate Stone to our clients. All natural:A wonderful green streak wall cladding. We are involved in offering a wide range of Stone Wall Tiles. Asian Stones specializes in production and distribution of Stone Wall tiles. Kindly email us or call us to get a quote on the items and catalogue. If you are looking for Ordinary Wall Tiles, then we are the perfect destination for you. Ordinary Print Wall Tiles are made to provide somber look to the walls. Fine finish and abrasive resistant are the characteristics due to which Wall Tiles have gained huge popularity. We are one of the leading companies engaged in providing a wide range of Sandstone Wall Cladding Tiles to our most valued customers. 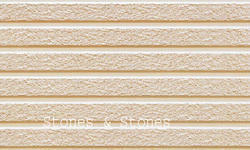 This range of Sandstone Wall Cladding Tiles is known for its best quality and durability. 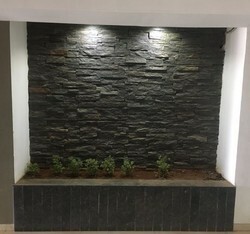 Multicolor MUDRA Stone Sheets Tile For Walls, Thickness: 1 TO 2 mm, Size: 48" X 24"
Size: 48" X 24" , 96" X 48"
We offer a comprehensive range of Stone Wall Tiles, fabricated from finest quality raw material. These designer wall patterns are available in different shades and designs and can be applied in very short span of time. Acknowledged world over for its array of patterns and high quality finish, these patterns are a fine combination for performance and innovative design.